The Samsung Galaxy Note 8 is slated for release next week and strives to revamp the Note series’ reputation. 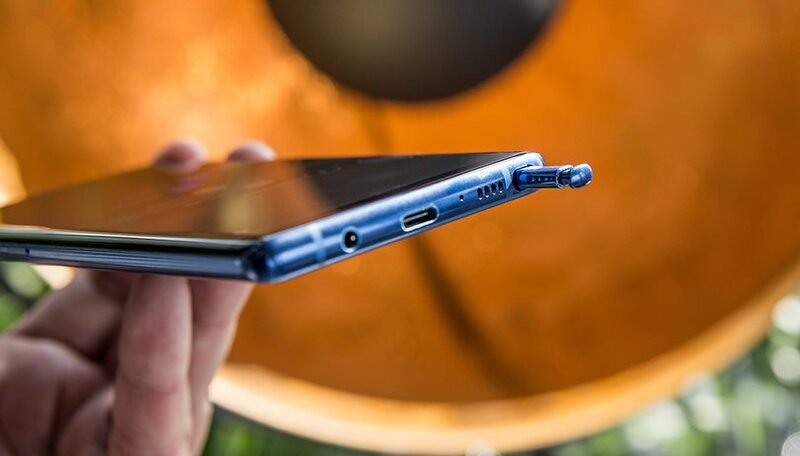 While current smartphone fans now believe that there are many alternatives to the new, large Galaxy smartphone, one thing is certain for Note fans: The Galaxy Note 8 has no competition, and this is due to the S-Pen. When Samsung introduced the first-ever Galaxy Note, I asked myself two questions: Who needs such a large smartphone and who the heck still uses a stylus nowadays? The former was settled long ago, while my answer to the latter has been “nobody” for a long time. But Samsung has improved the stylus over the generations and has convinced me of its benefits. The S-Pen in the Note 8 is so capable that its usefulness can no longer be denied. And yet: No other manufacturer has jumped on this bandwagon, a fact that continues to give Samsung a true edge. In today’s often criticized - and mostly still existant - smartphone banality, that is worth its weight in gold. Notes on the lock screen: With the Galaxy Note 8 and the S-Pen, I can actually create up to 100 pages without even having to turn on my smartphone. Furthermore, some pages can be pinned to the lockscreen and, thanks to the always-on display, are always visible on the screen. You can say goodbye to paper-based shopping lists! The magnifying glass: The S-Pen can be used as a picture magnifying glass. I like to use it to look at details in photos without having to immediately enlarge the entire picture or to discover details on Google Maps while the full map remains fully visible. Translation: I can use the S-Pen to highlight text with greater precision than with my finger, and then I can translate the selection into the language of my choice with one click, which is a boon when you work in an international team and generally see a lot of text in foreign languages! In addition to functions that are truly useful in day-to-day life, there are additional ones that are simply fun. Want to draw a new GIF directly in Messenger? No problem. Want to create truly fine drawings on the display anytime and anywhere because you always have the smartphone in your pocket? Sure thing! You just can’t do this with any other smartphone. Of course, you could now argue that numerous input styluses for smartphones and other touchscreen devices are being sold as accessories, in part for a few dollars. But even so: There’s no remote comparison in terms of hardware or software. These styluses are not much more than a replacement for a fingertip, have nowhere near the accuracy of the S-Pen and do not support any of the software features. In addition, there’s no space to store them in the smartphone. When I think about how much I lose my pens, I would have to buy a ten-pack of styluses every three months. At some point, the savings are put into perspective. Furthermore, Samsung has now designed a hardware integration solution for the S-Pen that doesn’t require compromises. Despite its large opening, the Galaxy Note 8, like the stylus, is protected against dust and water according to the IP68 standard. Unlike earlier models, you cannot incorrectly insert the S-Pen into the housing and damage your smartphone in the process, and S-Pen does not make the Galaxy smartphone much thicker or heavier either. Only the battery needs to be a bit smaller, but that’s another story anyway for the Galaxy Note 8. The stylus, its integration and its functions have only truly matured on the new Note. My opinion of the first Note has long since been reversed. I find the Galaxy Note 8 interesting not only - but mainly - because of the S-Pen, and it’s actually unrivaled in its niche. Anyone looking for a premium tablet with a stylus will find what they are looking for in Samsung and Samsung only. Conversely, you can also say that anyone who doesn’t need a stylus can obtain a virtually comparable smartphone with the Galaxy S8+. What do you think? Do you think the S-Pen is important enough to lead the Galaxy Note 8 to the top of the phablet competition? Or maybe the stylus really isn't needed anymore? Share your thoughts in the comments below. My Note is a Note 2, and I am still using it. I just wish they would make a Note Mini (something along the size of the S5). I want to be able to go out and be able to carry phone easily in my pocket but still have the SPen. My Note 2 is starting to fail and the only option still today is a Note 8 or Note 9, but they are huge. I don't want to carry a TV with me everywhere. My first Note was a Note4 and I still have it. I couldn't switch back to a pen-less phone (the other lame styluses don't even count). I would really like to see some competition in this niche. If not, Note 9 will be the chosen one. I love my Note 4, I do not love it for the S Pen. I love it for the being the most functional long lived cell phone on the market today. Even with the faster processors out there the Note 4 still competes. In poll after poll only about 25 % of the say the S pen is essential. I do use mine but not daily and mostly for games where my big finger get in the way of the screen. The Note series was always geared to a business or power user. The Note 8 is geared for multi media user. It is not the Notes of the past and that is truly a shame. So the Note 8 isn't geared for the power user? The functionality that the S-pen adds makes the Note a truly essential device. No other manufacturers take on the Samsung note because they know its just an expensive gimmick that dosent sell well and never will do. The magnetic induction and interface is a cool bit of technology for the s pen. It was great on the note I owned a few years ago. Totally transparent to the user what is going on.